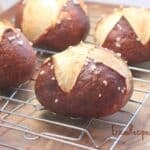 Toasty, delicious, homemade Pretzel Bread is surprisingly easy to make and worth every bite. 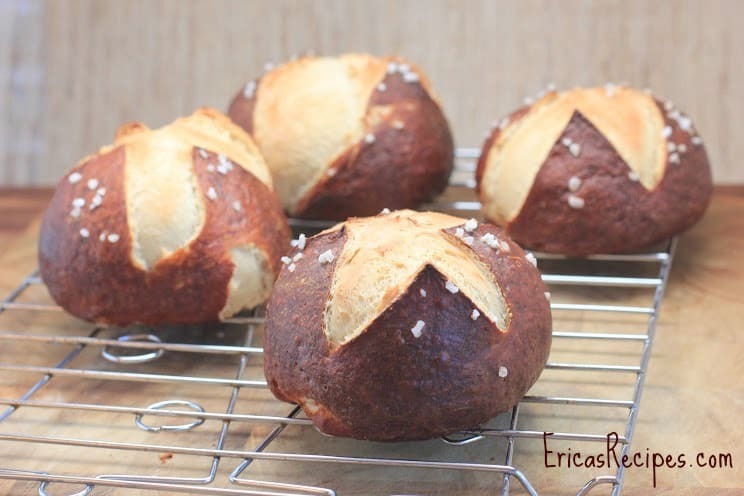 It seems making homemade pretzel bread is all the rage right now, so I decided to jump on that bandwagon and give it a go. 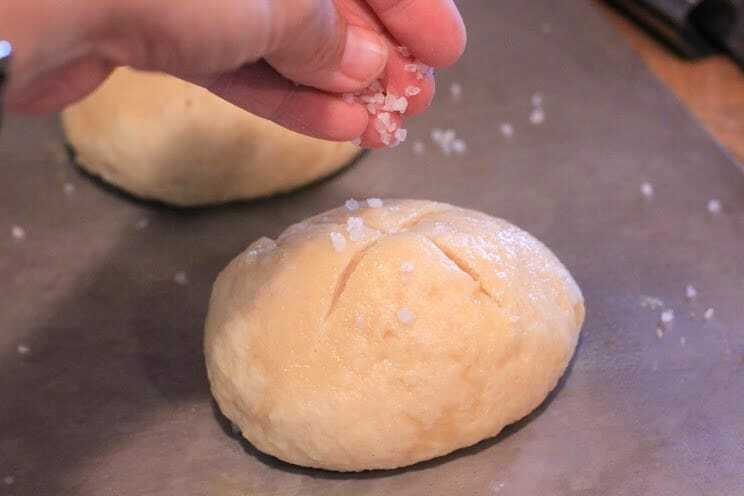 These salty, crusty buns are not difficult and smell amazing. I made this batch as burger buns for my BBQ Bacon Double Cheeseburgers, and the result was absolute heaven. Makes great toast the next morning too. 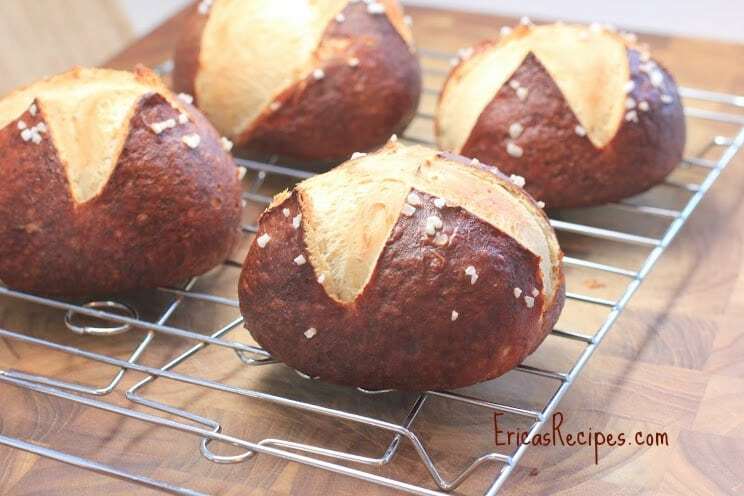 Update: I used this Pretzel Bread recipe to make Garlic Cheese-Stuffed Pretzel Bombs which are mind-blowing amazing. If you like pretzel bread, it’s even better stuffed with gooey cheese. Yes, I use cheap paint brushes in my kitchen. Yes, they are dedicated for only food use. In a small saucepan, warm the milk and butter on low heat until ~100F. 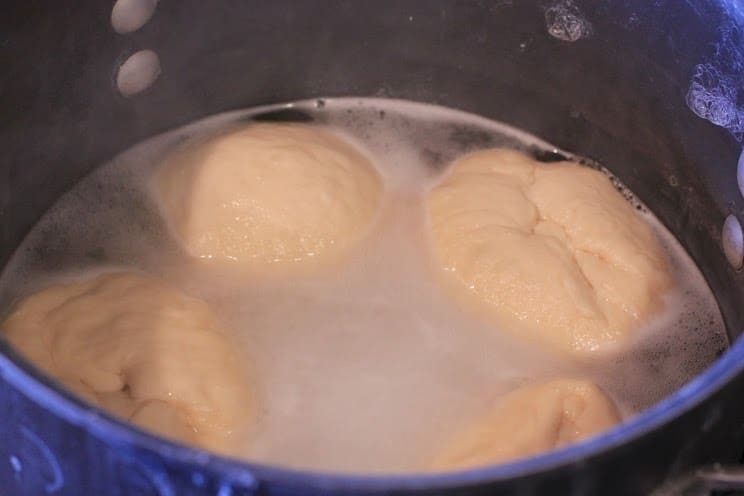 To the bowl of a stand mixer with the dough hook attachment, add the milk-butter mixture, the yeast, and brown sugar. Turn the mixer on to start stirring. Add the salt and flour. 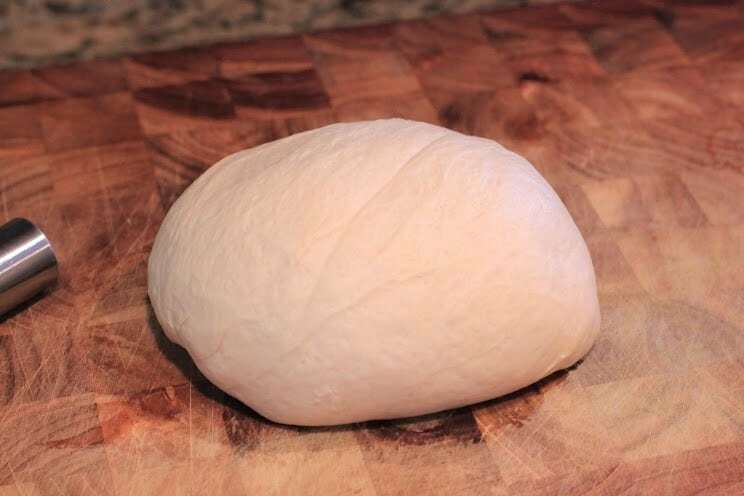 Once combined, let the machine knead the dough for 8 minutes until dough is soft and smooth. 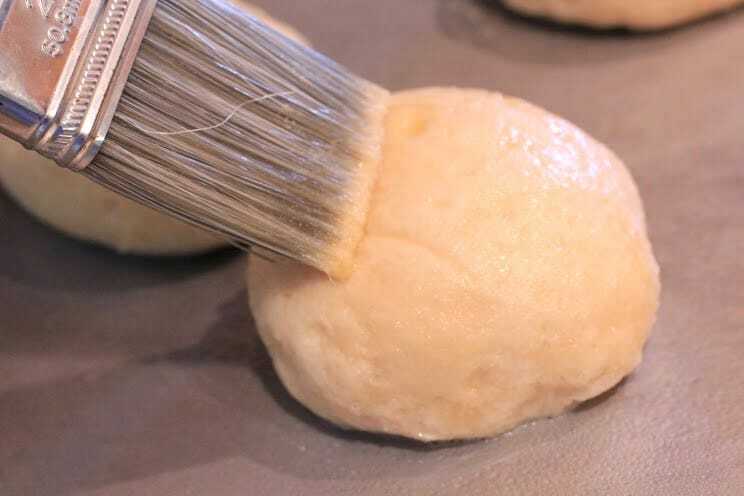 Transfer the dough to a large bowl sprayed with cooking spray. 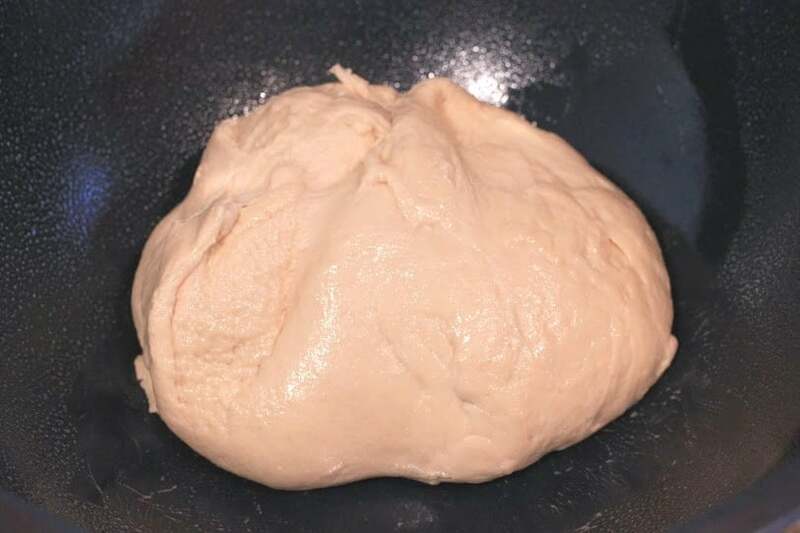 Cover bowl with a damp towel and let the dough rise 1 hour until doubled in size. 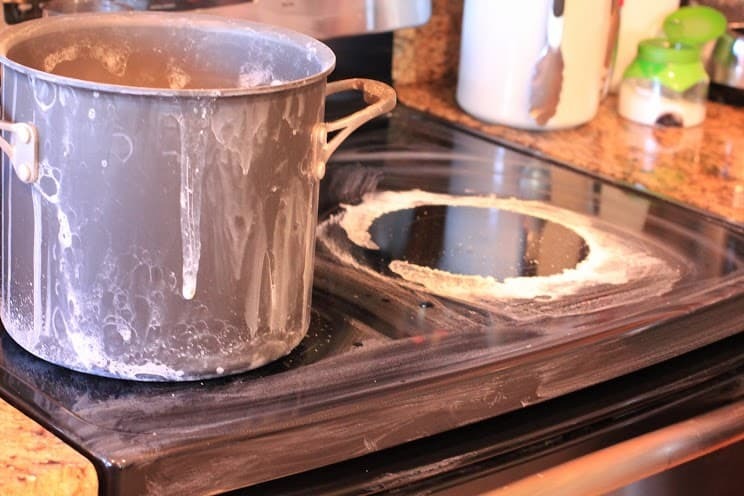 Half fill a large pot with water and add the baking soda. Bring to a boil. 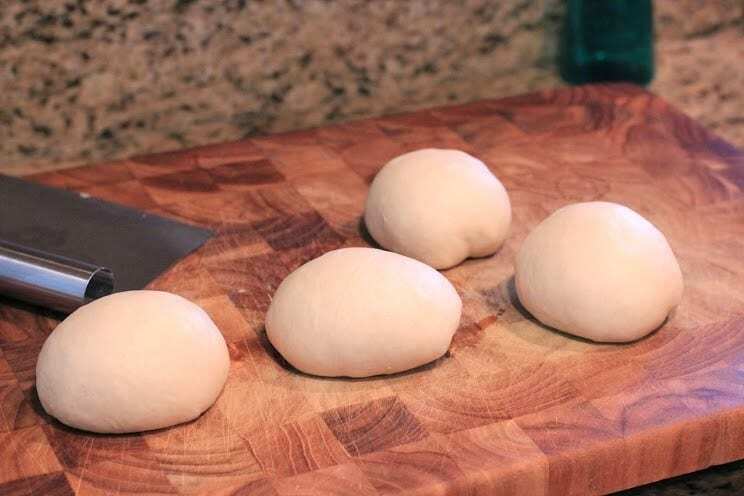 Turn dough onto a board and cut into desired number of pieces (i.e. 2 for loaves, 4 for burger buns, 8 for rolls). Roll each into a tight ball. Add each to the poaching liquid. Boil 1 minutes, turn, and boil another minute. Remove to a greased baking sheet (make sure it's greased or the bread will stick when it cooks). Slice a small "X" on the top of each roll with a sharp knife. Add a little water to the egg to make an egg wash (~2 t). Brush loaves with the egg wash. Sprinkle tops with sea salt. Bake loaves 15 minutes at 400, then reduce heat to 350 and bake another 5-15 minutes, depending on the size of your loaves, until well browned. Enjoy! mmmmm…those look yummy! I’m definitely going to have to give these a try. I used another recipe on another site with all purpose flour and followed it to the tee and they came out untoasted and hard as rocks and tasted just like bread , Not pretzels @ all. I save them and give them to my dogs as a treats cause, They are the only ones who can eat them…lol! Do I need to use wheat flour to make them taste like pretzels?? These look YUMMY! Pinned to my bread board to try! I just finished making these. FABULOUS!!! Definitely a keeper – the entire family agreed!! Thank you! 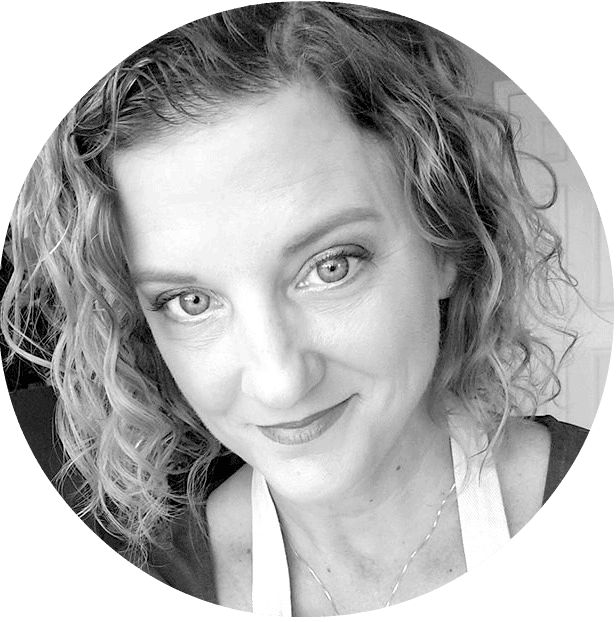 Thank you – I can not wait to give it a try Erica. I’m curious why you adapted to lowfat milk from the original recipe? I stay away from any “lowfat” foods nowadays, since learning that they’re definitely *not* good for us. Whole milk has all the nutrients intact the way they come naturally.